"Wee Wee Wee All The Way Home"
Note card is a reproduction of my original watercolor painting. Card designs may be mixed. Please be sure to note which card design you choose. 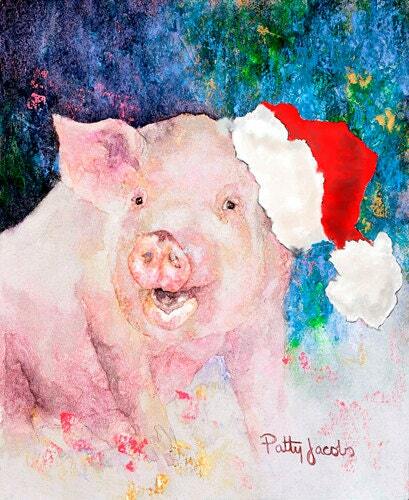 All artwork is copyrighted by Patty Jacobs. Copyright and reproduction rights remain that of the artist. Artwork cannot be reproduced in any way. Christmas Note Card "Mr. Buster"